Many home sellers believe that if their home has a unique quality then it automatically increases the home’s value. They think they should be able to ask more for their home than similar homes in their town that don’t have this quality. 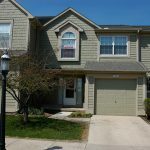 But homeowners should be aware that certain factors will determine whether a particular home’s feature will add value to a home, or in some cases, decrease the value. We’ve outlined 4 common qualities in homes and how they can either add or decrease the value of the home when it comes time to sell. 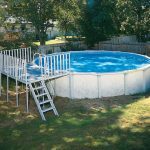 Swimming pools—both in ground and above ground—can be considered a valuable feature of a home, but only under certain circumstances. 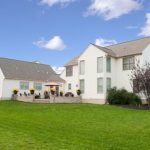 For luxury homes with large yards a swimming pool can add value, especially if it’s in great condition and accents the property’s landscape and design. For a swimming pool to add value to a home, the pool should go with the style of the home and fit in with similar homes in the neighborhood. A pool with special features such as a hot tub or a waterfall, or a pool with designer touches such as mosaic tile can be a valuable feature for a high-end home. A swimming pool that takes up a large portion or all of a small yard could lower the home’s value. The home’s value can be negatively affected if the pool is in poor condition and needs repairs. A swimming pool that is too luxurious for the style of home and neighborhood will not make the home more valuable. When compared with similar, modest homes a pool may seem out of place to home buyers. If a buyer loves your home but not the pool, they may try to figure in the cost of removing it, which could lower their offer price. Some buyers won’t want to deal with the maintenance and added insurance cost involved with owning a pool. And home buyers with small children may not like the risk involved in having a pool. In-law apartments are separate living units usually attached to a single-family home and typically include a sleeping and a living area, a kitchen, bathroom, and a separate entrance. Some home buyers want homes with in-law apartments so their aging parents can move in after they downsize their home, or have their extended family move in as a way to cut living expenses. Other buyers plan to rent the in-law apartments out as a way to increase income, if the town permits such use. The most important factor to consider with an in-law apartment adding value to a home is making sure all the proper permits were acquired when it was built. Depending on the town you live in, there are certain codes that must be adhered to for such things as the number of rooms allowed, or parking spaces required. The in-law suite should be well designed and offer privacy from the main house. As mentioned above, getting the proper permits and adhering to building codes is key to having an in-law apartment adding value to a home. Without the proper permits, an in-law apartment can decrease the home’s value and cause significant issues when trying to sell. Some communities don’t allow in-law apartments so it’s important for homeowners to check the zoning ordinances in their towns before building one. When it comes time to sell your home, make sure you note the in-law addition in your seller’s statement and have had all the proper permits and codes taken care of. Changing the original intent of a room with a specified use, to a room with a new, alternate use is a popular way of customizing a home. Some examples are converting a bedroom to create a home office or changing a garage into a game room. 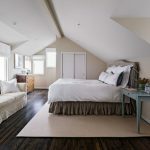 Converting unused space to an additional room can sometimes be a good thing, such as turning an attic into an additional bedroom. Since this adds one more bedroom to your home, it improves value and puts your home in a different category: for instance, your home goes from a 2 bedroom home to a 3 bedroom home, which increases value and will attract more buyers. While the room change may suit your needs while you’re living in the home, when it comes time to sell it can turn buyers away. Homeowners who have given up “must haves” like a garage in order to build a game room or office may be surprised that most buyers would prefer a garage. Let’s say you have a 3 bedroom home and convert one bedroom into a walk-in closet, or combine it with another room to make one large bedroom. 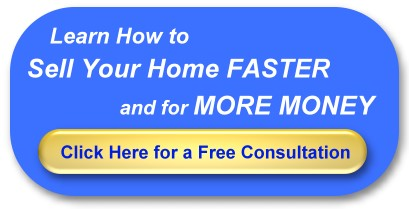 This change can decrease the value of your home. When you decide to put the home up for sale you will have to now market it as a 2 bedroom home instead of a 3 bedroom home. This will automatically narrow your pool of buyers since more buyers are looking for a 3 bedroom home. A buyer may try to figure out what it would cost to change it back—or they may just look at homes with a bedroom that doesn’t need altering in the first place.You won’t be able to list the home at the same price as other 3 bedrooms in the neighborhood since it’s now a 2 bedroom home, and will most likely have to be priced lower. Outbuildings such as garden sheds and barns can either add or detract from a home’s value depending on a few factors. As with in-law apartments, a homeowner will need to check their local ordinances to see which permits are needed for changes made to outbuildings—including having them removed from the property. 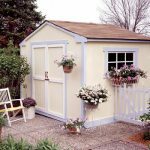 Outbuildings that are small and in good condition such as storage sheds that can be used for storing tools or equipment can add value to a home. A larger outbuilding in great condition, such as detached garage, can also add value to the home. The outbuilding’s functionality and condition determine whether it will decrease the value of the home. A home buyer will want to know: does it have a well-defined use? Is it in good condition? Is it too costly to maintain or repair? If the outbuilding is not typical for similar homes in the area, it could decrease the home’s value. 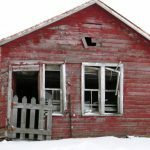 Examples of outbuildings that could decrease the value of your home are: a large dilapidated barn, an old large shed in poor condition, or an unused farm service building such as a chicken coop. If the outbuilding is in need of extensive repair and has no obvious use it can bring down the value of the property. Keep in mind home buyers can easily see what homes like yours are priced at by searching the Internet and expect your home to be priced within the same range. 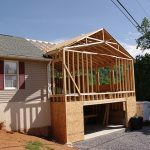 If your home has one of these features they will want the feature to be in good condition, have the correct permits, and have a well-defined use that goes with the style of the home.